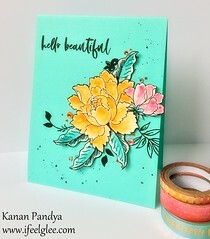 Hello friends, I am back with a new card. Lots of inking & dimension on this card. 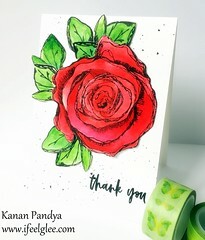 I just love these roses, I colored them with Prisma colored pencils and adhere them on the stamped background. 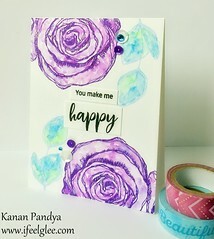 This week’s Simon Says Stamp Show’s challenge is all about inspired by the letter ‘S’, so my card has many ‘S’ elements like stickles, summer colors and of course stamping and my sentiment is also starting with the letter ‘S’. 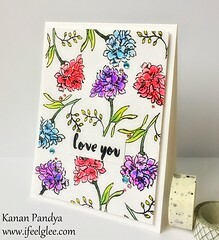 Kanan: This is delightful – so pretty and colorful. Your art is always a joy to see and I thank you so much for sharing with us. Stunning colours!! Love the bright happy colours. 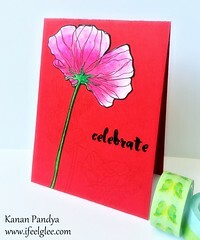 Thanks so much for sharing your s-inspiration with us this week at Simon Says Stamp and Show! 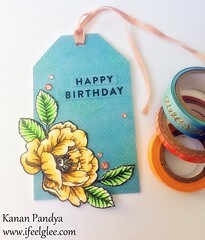 Delightful card, Kanan! 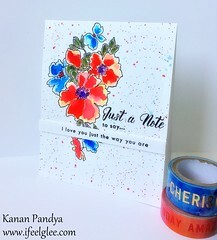 Beautiful colouring on the flowers and love the touch of the glitters! 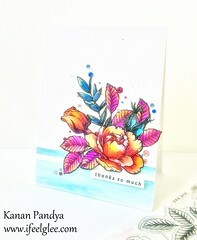 Gorgeous creation, Kanan! 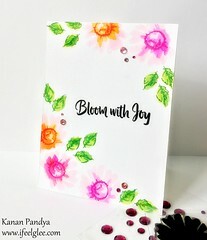 Love the bright and cheery colors and dimensions! 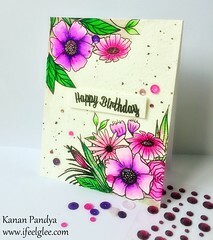 I saw your card being featured over Penny Black Facebook! Congrats, girl!